What's all this hype about mud running? Get the dirt and then get dirty; challenge your mind and body! It’s the phenomenon that is sweeping the globe and it has average Joe’s and G.I Joes competing in the same intense, down-and-dirty obstacle course commonly referred to as a mud run, mud race or sometimes even a death race. Remember Nickelodeon’s Guts and Double Dare? Take the 90s mash-up of obstacle challenges and replace the slime with mud; add the motivation of being called a warrior, Spartan or tough mudder and you’ll find yourself at a mud run. 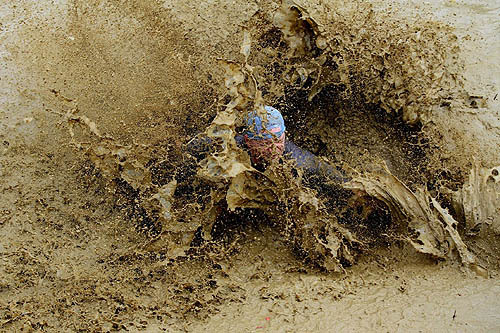 Mud Running is both physically and mentally challenging, giving seasoned athletes a food for their extreme sports crave and newbies a reason to train, get fit and feel the inspiration that can dramatically alter a sedentary lifestyle. No matter where you stand on the physical activity spectrum, mud races are a perfect way to jump start an exercise regime and stay fit. Mud run obstacles range from 3-12 miles and include the physical challenges of climbing walls, crawling under barbed wire, sweeping through fire and toughing it through muddy terrain. Most runs offer some type of theme to make the event both entertaining and inspiring while giving away freebies and a consolation prize of a cold beer at the end of the race. Many mud running participants join with a team, helping to inspire each other through training and providing mental support for race day. If you’re new to mud racing and events such as these, joining with a team is a great way to boost morale and achieve your goals. 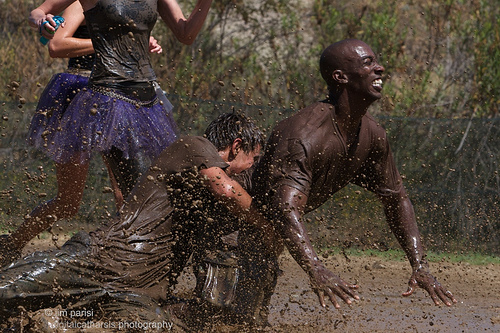 Take on the challenge of a mud run and see where the next race is happening in your area. "Pain is temporary, quitting lasts forever." "Besides pride, loyalty, discipline, heart, and mind, confidence is the key to all the locks." I've been wanting to participate in a mud run for months now! Thank you for the inspiring quotes to motivate me to sign-up!